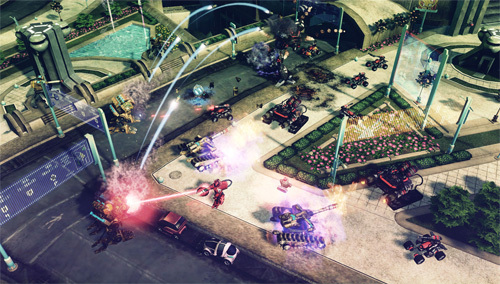 One of the founding fathers of real-time strategy games arrives on the PC with EA’s latest furore action title, Command & Conquer 4 Tiberian Twilight. Returning gamers to this popular yet over the top universe, the GDI (Global Defence Initiative) and the Brotherhood of Nod are still at each other’s throats that would have probably destroyed Earth ten times over from the vicious battling over the years. Nonetheless, the game continues from the Tiberium Wars and the year is 2062 and all this bickering and wars between these factions has left mankind in a very sorry state of existence. To compound the situation, Tiberium now threatens the very existence of Earth and the enigmatic Kane has a plan as he ventures into enemy territory to come up with a solution but as we all know, Kane is generally in it to benefit himself as players are taken on the final chapter of the Tiberium series. The installation of this game on PC was a breeze, however just be warned that the game uses DRM which means you need a valid internet connection at all times. Personally, this is a royal pain but understandable in this world of piracy and I’m hoping that a developer will be able to streamline this process because nothing is more annoying then losing your internet connection through lag or maintenance and not being able to play the game or you get booted out of an online game. Even with all this trouble, pirates still somehow manage to get around it and at the end of the day, its those paying customers that feel the pain yet again. 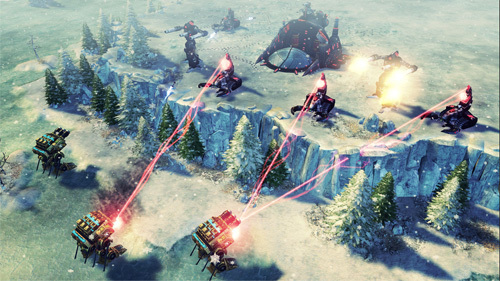 At its core, C&C4 is a modern RTS that pits the angelic GDI against the nefarious Nod as you race to create units, defend your base and expand and conquer. Set in a post-apocalyptic world that has seen the fall of many governments, these two factions are the only powers remaining on Earth and like the previous games, use some interesting cutscenes to progress the story. Interestingly enough, the game is not as campy as previous instalments, more so the cutscenes and Joe Kucan once again returns as the over the top Kane. The campaign story is however, a little messy and it swaps and changes between the two factions but overall it does help with the story, kind of like a book. With that said, the RTS genre has changed tremendously over the years and originally these games were to gather resources, build units and then attack. Probably the newest aspect of C&C4 is the inclusion of mobile bases or Crawlers. These Crawlers have also removed the fiddle some nature of base building and have streamlined the process quite well. These mobile basis can even fly and through the tech tree, this is where you upgrade your units to assist in your overall victory. With that said, in single-player, gamers must choose one of three classes that include offence, defence and support classes which does limit the gameplay a tad as you feel like 1/3 of your total capacity. In terms of units, even if you lose half your army, it won't be long before you have access to them again which truly changes the RTS landscape as you rush for more Mammoth Tanks or Obelisks for total destruction. Units are also awarded experience points for their kills which allows them to level up as you progress to become veterans. One issue with the single-player story is that it is a little dull and where the game does shine is through an objective based 5v5 multiplayer which is actually rather fun to play for and against other people online. 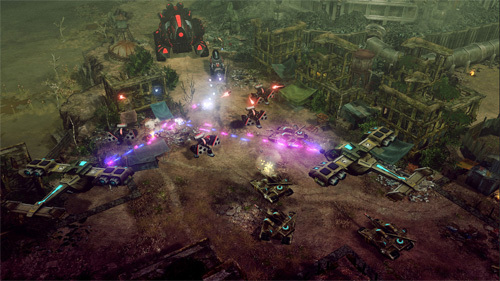 As you're limited to one particular Crawler in single-player, in multiplayer, people can choose different Crawlers to boost your combined forces, so one person can be offence and the other defence to take your enemies. In terms of gameplay, there is a mini-map for you to watch what's going on in the world as you battle small skirmishes and attempt to complete your mission objectives which will be your brain hub. Another issue with single-player is that the AI is a mixed bag of ignorant and aggressive and there is no common ground that does cause some frustration. 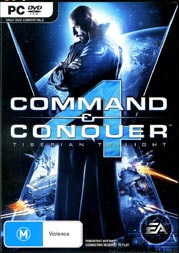 Graphically, C&C4 is a very good looking title that even though it keeps some elements of the original game, the 21st graphics really assists in creating a fully playable 3D world with some great attention to detail. 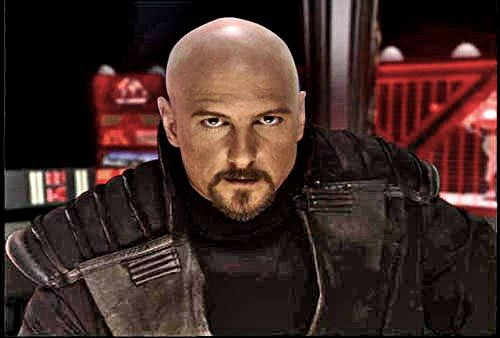 To compliment the storyline, we have some bad acting involved by the actors but this is what C&C is all about and I must admit that Joe Kucan really camps it up for Kane. The soundtrack suits the game as do the wide gamut of sound effects from military talk to huge Hollywood type explosions. In conclusion, it’s good to see EA move away from resource gathering and try something different and although it does take a little time getting use to, it’s a refreshing change of pace for an RTS game. Even so, I do miss the rush of collecting resources which has been a staple in this genre for so long and in turn does remove a key element of gameplay which creates a mad rush for unit creation. It's a good attempt, just needs some more refining. *Supported video cards: nVidia GeForce 6800 or better, ATi Radeon X1600 or better. Laptop versions of these chipsets may work but are not supported. Updates to your video and sound card drivers may be required.